Anodized aluminum laminated to acrylic is a durable and long lasting solution! 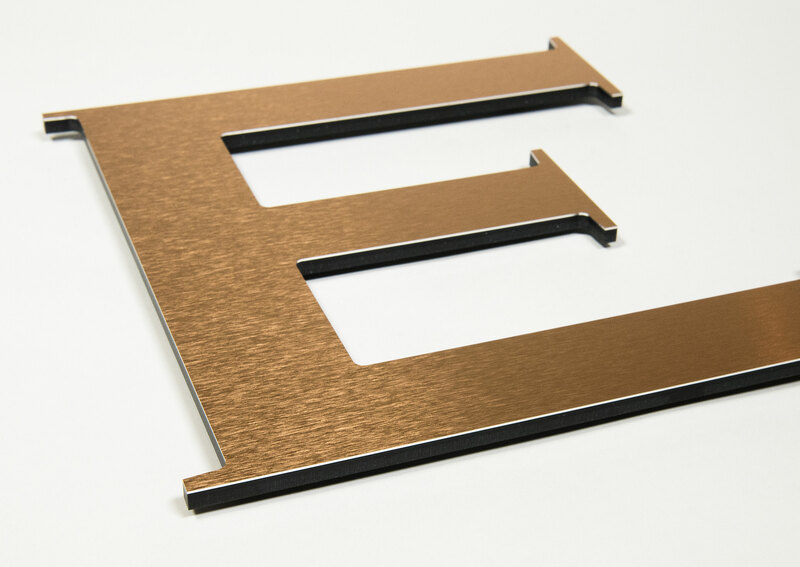 The smooth acrylic edges can be painted to blend with the faces, creating an economical alternative to solid metal letters. Thickness of 1/8″, 3/16″, 1/4″, 3/8″ and 1/2″. The smooth acrylic edges can be painted to blend with the faces. Satin brushed copper on black acrylic.